5 Reasons for Military Spouses to Volunteer! This is a statement I often hear from military leadership when attending military spouse conferences and even from my own active duty husband, and I’ve passed on that sentiment myself to others. None of us wants to feel pressured into volunteering and, thankfully, gone are the days of being “voluntold,” when a military wife not stepping up to volunteer would reflect poorly on her husband’s career. For starters, we’re military spouses now, with a broader range of military families than ever before! And that’s a good thing. Top 5 Reasons for Military Spouses to Volunteer! 1) You'll make new friends. Coming into a new assignment can be lonely. Volunteering will provide you with the instant opportunity to meet lots of new people and hear of other opportunities to connect. Since I’m a social person, working with and meeting new people is my favorite aspect of volunteering. One young spouse I met told me that getting involved with the spouses’ group at their first assignment ended up being the make it or break it part of them choosing to stay in the military (It was a “make it” for her!). 2) To build your resume. You may be stationed overseas with limited employment options or living in an area where you’re not able to find a job easily. Consider volunteering! The experience and references you acquire will be invaluable. It’s also a great time to ‘try on’ different types of work. The National Military Spouse Network recommends taking a position in the line of work you’d like to return to: i.e. if you have financial experience, take on a role as treasurer, a teacher can volunteer as a tutor, and a manager may want to serve as a spouses’ board president or manage the thrift shop. NMSN and Military OneSource both describe how to translate this volunteer work for your resume. Don’t discount the opportunities to learn leadership, management techniques, computer skills, and budgeting. Some organizations may even pay for training or send you to conferences. 3) Because you believe in the cause. There’s nothing to motivate you more than believing in the cause that you’re giving all those hours toward, and the sense of community that ensues when working toward a united cause is like nothing else. It’s gratifying to almost immediately see the effects of your work, whether it’s packing up boxes for to ship to deployed service members, reading books aloud for an elementary class, or even simply sorting clothing and household items for the thrift shop/loan locker. 4) Our military wouldn’t run as well without volunteers. Simply put, without the volunteer power of our military spouses, many programs would come to an end. Military leaders recognize this and have come to rely the support and communication from volunteer-run programs such as the Navy Ombudsmen Program and the Air Force’s Key Spouse Program, among others. 5) Some volunteer positions could lead to paid work. Other spouses who’ve been there may be able to help you make the transition from volunteer to paid work. The Military Spouse Business Alliance (MSBA), launched by the United States Chamber of Commerce and Academy Women in January 2012, offers a Military Spouse eMentoring program. The MSBA also provides information regarding hiring fairs and career forums. Want to volunteer but don’t know where to start? Check with the Family Support Center (Name varies by branch of service, but we've all got them!) at your installation for referrals or ideas. 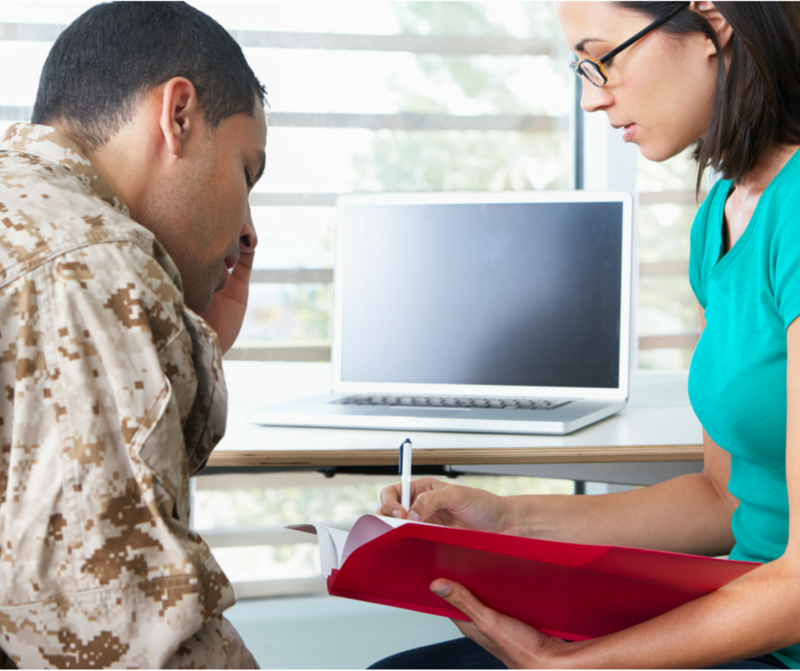 Your spouse’s unit may need volunteer help, and there are usually many venues associated with your military installation on the lookout for willing hands. A few ideas to begin: USO, Red Cross, spouses’ groups, libraries, schools, and chapels.